Mine is still on my bench waiting to get cut open. Interesting though- mine was a larger WIX from the factory. I did mine at 100 miles. I will do it again at 500. Good info, ill swap it and check. You stay with OEM or go to something bigger/aftermarket? Ya, putting together an excel spreadsheet right now to see what changes I would be required to make (or allowed) for the different racing organizations (DP4, Ave, D38, BITD). Also trying to decide if I want to go Lowrance or LeadNav on a iPad. The Wix is a LOT bigger. 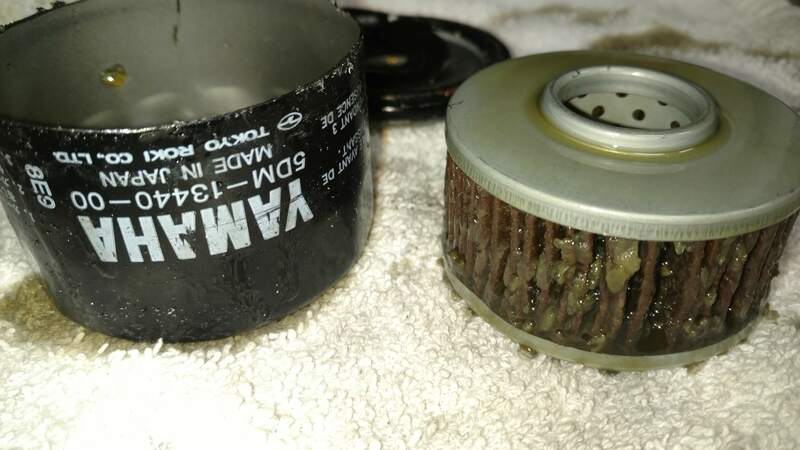 My oil change kit I bought when I purchased the car came with a Yamaha filter. I'm going back to Wix next time for the sheer volume. Are you using the Wix 51358 or 51365? Last edited by novaman64; 02-26-2019 at 04:04 PM. A WIX 51358 was on the car from the factory. I would use that one. Congratulations on the new ride. Drive it like you stole it! Got a Yaesu 65watt radio from a member on here. Ordered a Rugged Radios RRP5100 Intercom. Last edited by novaman64; 03-02-2019 at 06:20 PM. Fabbing my rear bumper and frame cover now. Deciding on colors. (black/green) Tow hook was easy peazy. AC gives you plenty of mount points to choose from. Ya, already have steel plate in the shop that will work for the base mounts, gonna plasma out a tow hook, just need to buy tubing, was thinking about going with 1.5" .095 wall. That is what I have coming for the rear bumper - 1.5" .095. Same as the front bumper I have- a minimalist bolt on Tusk unit. Making the rear to sort of mimic the front. novaman64 and Texicali2.0 like this.